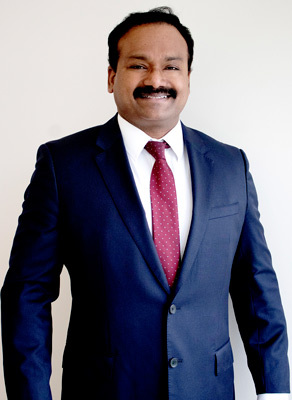 Dr. Dennis George Anithottam graduated with his BDS in 1998 from the Government Dental College, Trivandrum, Kerala University, in Kerala, India. He completed a compulsory rotating internship (equivalent to a general practice residency in North America) in 1999 after which he practiced as a general practitioner as well as lecturing at his alma mater. After immigrating to Canada, he enrolled at the University of Manitoba Dental School and graduated with his D.M.D in 2010 and has been practicing as a general dentist since. He recently moved to Edmonton and has purchased The Orchards Dental Clinic. He is excited to be in Edmonton, his new hometown with his two sons and wife, Dr. Merry Anithottam, a fellow dentist. 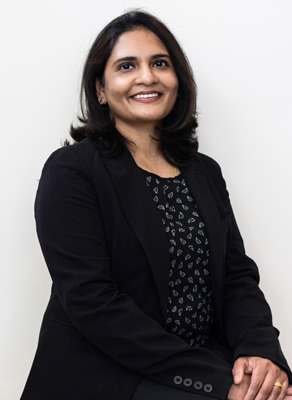 Dr. Merry Dennis Anithottam graduated with a Bachelor of Dental surgery degree from Government Dental College, Calicut, Kerala, India in 2006 and moved to Canada in 2007. After immigrating to Canada, she joined the International Dentist Program at University at Buffalo, New York and obtained her D.D.S. Dr. Anithottam provides quality dentistry for her patients, caring for adults and children in her practice. She enjoys educating patients and helping them feel better about their dental care.In her spare time, she loves cooking and spending time with her family. Welcome to Orchards Dental, the Edmonton dental practice of Dr. Dennis George Anithottam! We're proud to serve our friends and neighbors in The Orchards of Ellerslie, Summerside, Ellerslie, Charlesworth, Walker, Rutherford, Callaghan, Allard, Richford, Blackburn, and Mill Woods. We’re thrilled that you’re considering us as your new dental home, and we’d like to share with you the kind of care you can expect as a patient at our practice. We designed our practice to reflect the needs of our patients. Each added amenity, from the iPads and drink bar in our reception area to the warm blankets, pillows, and TVs in the ceilings of our private treatment rooms, was selected to increase your comfort. Going to the dentist generally isn’t at the top of most people’s lists of favorite things to do. We’re hoping, however, that by making our office homelike and patient-friendly, you’ll look forward to your appointments! We make it easy for you to get care on your schedule. Our late afternoon and evening hours make it possible for you to be seen without having to miss work or school, and we’re even open on Saturdays. There is plenty of parking, and parking is free. We offer family-block appointments so you can avoid multiple trips, and we are usually able to accommodate same-day emergencies, so if you are in pain or have another concern, go ahead and give us a call! We want to help everyone access the dental care they need to stay healthy. If you have anxiety about going to the dentist, let us know. We offer sedation options like nitrous oxide (laughing gas) and oral sedation to ease your worries so you can relax during your appointment. Our practice accepts all major insurance plans, and we even offer both in-house and third-party financing if you need some help fitting larger out-of-pocket costs into your monthly budget. Any time you have questions about your coverage or the cost of your care, just let us know and we are happy to help. Technology is making dentistry more comfortable, more efficient, and more predictable, and we’ve incorporated many technological advances into our practice. From intraoral cameras and digital x-rays to help show you what we see to the DentalVibe, which allows you to experience more comfortable anesthetic administration, we focus on your needs so you can have a great appointment every time. Are you ready to get started? Call today and let us know what you need. We’re looking forward to meeting you and welcoming you to our dental family! At Orchards Dental, we are available at times that fit your schedule. We offer late afternoon and evening appointments as well as Saturdays so that our patients can fit their care into their busy lives without sacrificing school or work. Our technology solutions also help contribute to patient comfort. If you need anything else, just let us know!